Viking Line continues to modernise its vessels. The M/S Viking XPRS, which has just undergone dry-docking, has been back sailing its usual Helsinki– Tallinn route starting on February 1. Passengers on the renovated vessel can now look forward to even more enjoyable restaurant and café experiences as well as improved shopping options. The vessel has also been equipped with a new type of propeller that is even more environmentally friendly. During its weeks of dry-docking, the vessel’s restaurant facilities in particular underwent major changes. On Deck 7 a brand-new entertainment venue – the dayand nightclub Club X – will open on February 11. "We listened to customers’ wishes and expanded the space there by a third, adding seats for another 150 guests. As a result, we have increased the level of passenger comfort, especially on day cruises. The venue’s sound and lighting technology has been updated to meet today’s needs." As for the popular Bistro Bella, with its buffet service, the biggest change can be seen in the updated buffet line, which makes the restaurant more functional and pleasant. Based on customers’ wishes, Viking Line has also expanded the selection of vegetarian dishes. In addition, Robert’s Coffee, which serves a variety of specialty coffees among other items, has been given a new look and more seating. “The M/S Viking XPRS is the most popular vessel on the Gulf of Finland, and we want to give our passengers the most enjoyable travel conditions possible. Club X is one of just a few dance venues in Helsinki, so we want to provide dance lovers and the Finnish stars performing on Wednesdays and Thursdays the nicest venue possible,” says Jaakko Ahti, Route Manager at Viking Line. Renovated sun deck to enhance the life of summer passengers With warmer weather in mind, the vessel’s sun deck has also been expanded. During the summer season, the Viking’s Out grill and bar on the outer deck – the most enjoyable open-air eatery on the Gulf of Finland with wonderful views – will serve guests on Deck 8. In addition to the main sun deck, an outdoor bar will open this summer on Deck 10. The public areas and cabins have been renovated and modernised to increase passenger comfort. The Shopping World has been given a bright, modern look and additional space. One of the most important improvements made on the Viking XPRS is hidden under the surface. During its dry-docking, the vessel was equipped with a new type of propeller that under normal conditions can run on two instead of three main engines. As a result, we can substantially reduce fuel consumption and thus take better care of the environment. 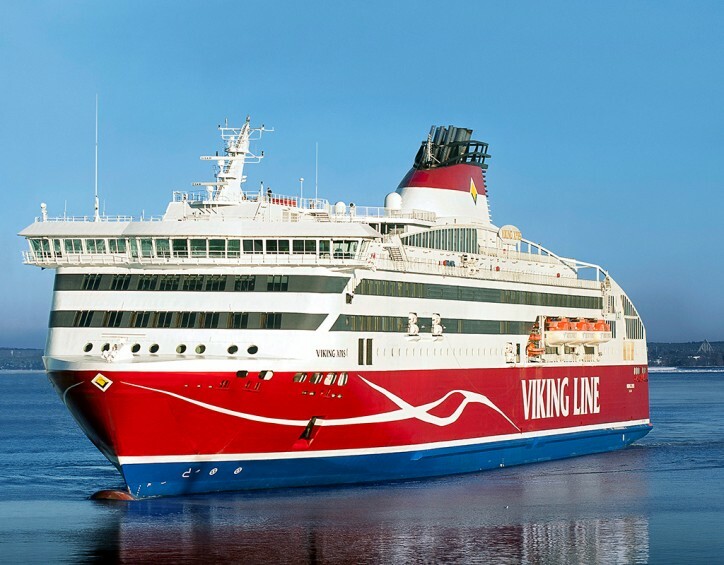 In recent years, Viking Line has carried out major investments to renovate its fleet. Last year, the M/S Gabriella was renovated, while in 2015 the M/S Amorella and Mariella underwent refurbishment. The aim is to offer today’s cruise passengers what they are asking for: cabins with high standards, inspiring travel experiences and good shopping opportunities.